Rod M. Fliegel | Littler Mendelson P.C. Rod M. Fliegel learned about the practice of law from his father and considers himself "old school" in terms of his work ethic, responsiveness and devotion to his clients. He bonds with his clients by learning about their priorities, devising strategy and achieving results. He has worked with many of his clients for a decade or more. Rod has broad subject matter experience and significant knowledge in class action defense and the intersection of the federal and state background check laws, such as Title VII and the Fair Credit Reporting Act (FCRA) and their state law equivalents. 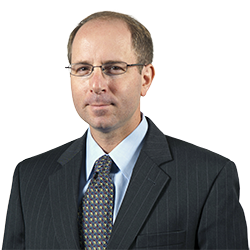 He also has extensive experience defending employers in state, federal and administrative litigation, including matters with the Equal Employment Opportunity Commission, the Federal Trade Commission, and the New York Office of the Attorney General. As the national coordinating counsel for a large nationwide retailer and a large nationwide background check company, he handles and oversees civil and administrative matters throughout the country. Led team of Littler lawyers that defeated in the trial court a state court class action invasion of privacy claim brought by Teamsters represented union workers who opposed the company's random drug testing program. Rod's team prevailed in the trial court in a dozen motions, including a dispositive motion that challenged the class-wide privacy claim as preempted by LMRA Section 301. The court entered judgment for the company on all claims after granting summary judgment against each of the named plaintiff's FEHA, Civil Code and Labor Code claims. In December 2018, Rod's team prevailed on every issue on appeal. Defeated with a summary judgment motion a proposed nationwide federal court class action in Texas against a trucking industry employer for alleged violations of the FCRA's authorization, disclosure and notice provisions. Defeated with a summary judgment motion a proposed nationwide federal court class action in Texas against an employer for alleged violations of the FCRA's authorization, disclosure and notice provisions. Defeated with a Rule 12 motion a proposed nationwide federal court class action in Florida against an employer for alleged violations of the FCRA’s authorization, disclosure and notice provisions. Defeated with a Rule 12 motion a proposed nationwide federal court class action against an employer in Massachusetts for alleged violations of the FCRA’s authorization, disclosure and notice provisions. Led team of Littler lawyers that recovered a substantial attorney's fees award after the plaintiff in a prior litigation threatened to sue again based on the same facts. The Littler team prevailed in state court on the company's dispositive motion for breach of contract. Led Littler defense teams in the successful defense of several clients in systemic discrimination investigations by the EEOC and separately the FTC concerning their background programs. Led the Littler defense team in a sprawling putative California wage and hour class action against a national retailer and prevailed on a motion for summary judgment for the defendant parent company and to dismiss class-wide fraud claims, class-wide restrictive covenant claims, and class-wide claims for injunctive relief under California Business & Professions Code section 17200. The named plaintiff ultimately accepted a nuisance value settlement to resolve her individual claims. Led the Littler defense team in a putative California wage and hour class action against a trucking industry employer. The named plaintiff ultimately accepted a nuisance value settlement to resolve his individual claims. Led a team of Littler attorneys to a seven-figure pre-trial settlement for Littler's client in a vigorously contested trade secret dispute in California state court. Defeated proposed class action claims in a federal court lawsuit against a background check company under California’s version of the FCRA. Successfully represented several clients in investigations by the FTC concerning their compliance with the FCRA. Prevailed on an anti-SLAPP motion in a disability discrimination case and used the attorney’s fee award to leverage a dismissal with prejudice. Time for FCRA Refresher Course? Checking In On Employment Background Checks: Are You In Compliance with the EEOC, FCRA, Federal and State Requirements? How Can Motor Carriers Reduce Their Potential Liability for Negligent Hiring and Negligent Retention? Cal. Lab. & Employ. L.Q. Background Checks 2012: Can Employers Still Investigate their Employees & Applicants? Annual Users Group Meeting - HireRight, Inc.
Employment-Related Credit Checks: Is Your Company Over-Extended? Annual Users Group Meeting - Hiring, Inc.